Populous states with large veteran populations, like California, notched the highest numbers of veterans who have used the so-called Choice program since it was created in 2014. WASHINGTON — More than a million veterans annually have come to rely on a Department of Veterans Affairs program to get private-sector medical care at VA expense, a program that is set to run out of funding in two weeks, according to data provided to USA TODAY. Populous states with large veteran populations like Texas, California, Florida and Arizona notched the highest numbers of veterans who have used the so-called Choice program since it was created in 2014 after veterans died waiting for medical care at the Phoenix VA hospital. More rural or remote states like Alaska, Hawaii and Montana showed higher percentages of their veterans relied on Choice, which allows veterans to get VA-funded health care in the private sector if they have to wait longer than 30 days for a VA appointment or live more than 40 miles from a VA health care facility. In all, 2 million veterans have used the program since its inception, including 550,000 so far this year. The House overwhelmingly passed legislation Wednesday that would make the program permanent and provide the necessary funding, and it appears poised to pass the Senate, which could take it up next week. The bill drew opposition from a key House Democrat, Rep. Tim Walz, D-Minn., the highest-ranking Democrat on the House VA committee, who said it could undermine the VA by diverting money to the private sector. But more than 100 Democrats joined Republicans to pass the bill. The legislation combines the Choice program with six others that allow veterans to get private-sector medical care at government expense and tasks the VA with creating rules for obtaining outside care. It also creates a commission to assess VA assets and make recommendations about which medical facilities are worth repairing, where new ones might be needed and where others might be shuttered and private-sector care provided. Montana Sen. Jon Tester, the highest-ranking Democrat on the Senate VA committee, has said he supports the measure. So do more than two dozen veterans’ groups, including the Veterans of Foreign Wars, Disabled Veterans of America and the American Legion. “We strongly encourage the U.S. Senate to pass this important legislation swiftly,” said Denise Rohan, national commander for the Legion. But federal employee unions are dead set against the bill and have urged lawmakers to reject it. “This legislation kicks the door wide open to VA privatization, no matter what its supporters claim," American Federation of Government Employees President David Cox said. If it passes the Senate as appears likely, it would be a significant legislative victory for President Trump, who repeatedly promised during his campaign to overhaul the VA and expand veterans’ options to get VA-funded care from the private sector. If it fails, Congress could pass a stopgap measure to keep the program funded past May 31, when it is expected to run out of money. Lawmakers have passed two such measures in the past year. 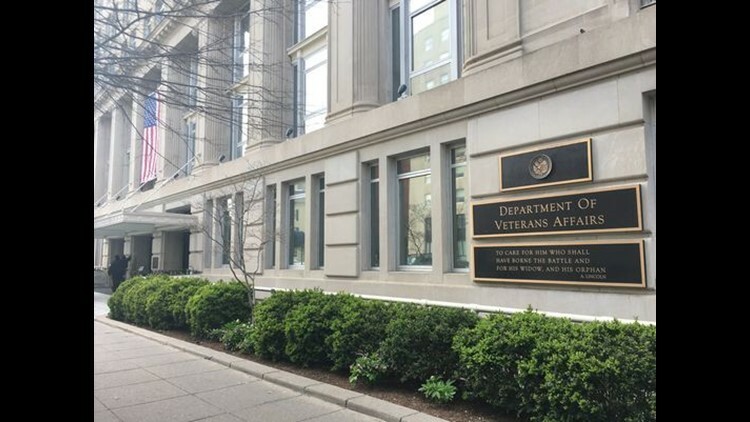 While the VA was able to accommodate veterans within 30 days at its medical facilities for 92% of appointments as of March 1, more than 740,000 veterans still were waiting longer than a month for VA appointments, VA data show.